I love the wedding industry - you have the opportunity to connect with so many incredible people in the most amazing circumstances. The first time I met Michelle Delacastro she was the photographer for a wedding that I helped coordinate. The moment I met her I immediately decided that I was going to keep her - she is breathtakingly beautiful, but more than that, she radiates love and compassion. Through out the rest of wedding season, our paths continually crossed until eventually I was part of the team that planned her wedding. From that point forward, she has become a good friend of mine, and someone I would, without hesitation, recommend working with. About a month ago Michelle asked me if I would help her design client appreciation gifts for her brides. Of course I agreed, & we began planning. So one way I would suggest loving them, is client appreciation gifts. 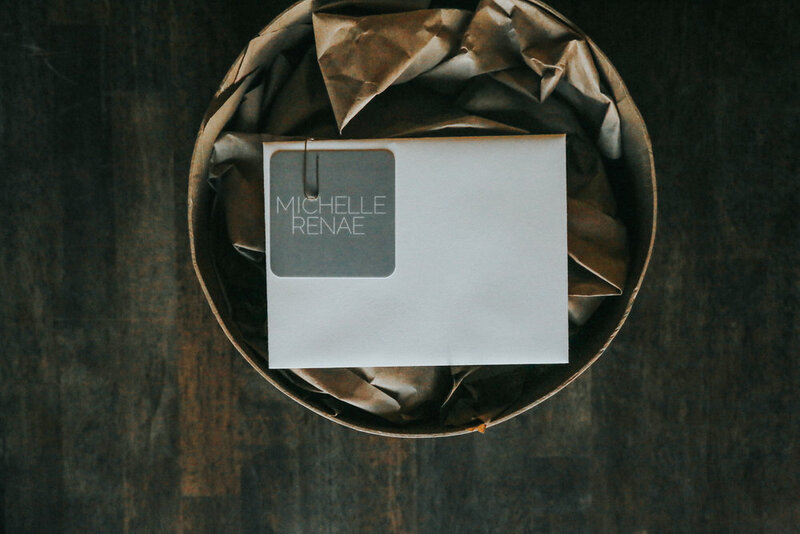 For Michelle, this meant finding a way to reflect on her brand in the form of a gift box for her brides. We carefully curated individual products, including homemade vanilla candles & handmade soaps, and put them together to create a gift filled with love. I absolutely loved helping create & design these gift boxes. If this is something you’d be interested in, but don’t feel like you have the time to do them yourself, I would love to help you design some… Send me a note.